Cynthia Brotemarkle had to make two bus connections and walk some ways to get to her job at Goodwill on Buckeystown Pike. Only one bus runs the rural route between Frederick and Walkersville, so some evenings, she wouldn’t get home until 7 or 8 p.m., she said. In late June, however, Brotemarkle was presented with a unique opportunity through a newly formed partnership between Goodwill and Second Chances Garage, a nonprofit organization on North Market Street in Frederick. With a little help in the form of a loan from Woodsboro Bank, Brotemarkle is now the proud owner of a 2000 red Subaru Forester. Brotemarkle is just one of many who’ve struggled to find adequate transportation to work in Frederick County. Five percent of households in Frederick County did not have access to a car in 2013. That’s nearly 4,300 households, according to U.S. Census Bureau statistics. 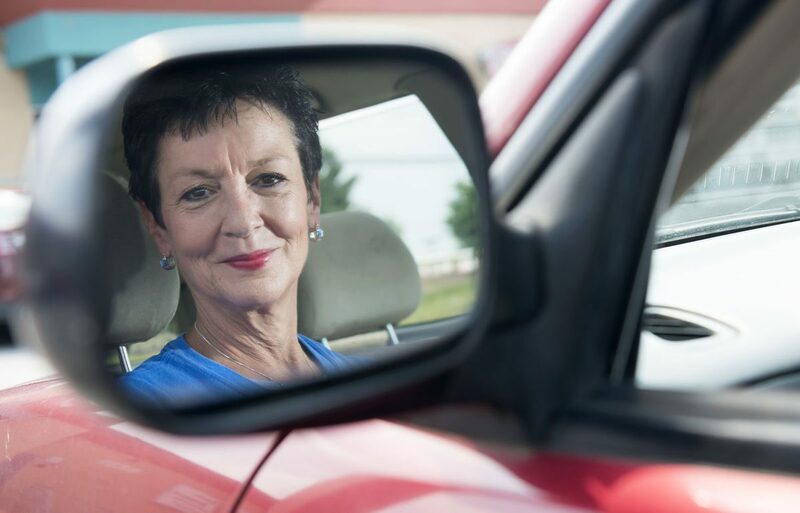 She was the first of two Goodwill employees to receive a discounted car from the garage through the partnership, said Wayne Hatcher, Goodwill’s chief operating officer. A recent Harvard University study found commuting time to be the single most important factor in the odds of upward socioeconomic mobility, with longer commutes worsening the chances of low-income families escaping poverty. 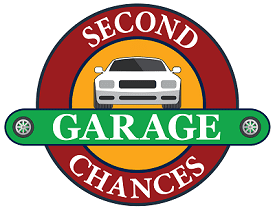 Second Chances Garage took up the cause of providing cars to low-income families in April 2010, when owner Rick Trawick saw low-priced vehicles disappearing from car lots. Last year, the nonprofit received about 75 donated cars, but this year, they are aiming to get 100 donated cars, Trawick said. Those cars are then fixed up and driven at least 100 miles for testing by manager Glenn Zior, a resident of Mount Airy. Additionally, the cars are Maryland state inspected and have less than 200,000 miles on them. This year, the organization has served about 10 families, but is aiming to reach 35, Zior said. “So, those people are coming out of recovering things and need a hand up, not a hand out — as we say — they can get into a car assuming they have a job and they meet some other qualifications of ours,” Zior said. There is a $500 program fee for the car, along with paying for the taxes and license plate fee, he said, but payment plans can be set up. They also charge a discounted $50 an hour for repairs, while the going rate in Frederick is $100 an hour. Other donated cars are sometimes fixed up and sold at the garage’s lot, which, in turn, provide funds for the equipment, labor and refurbishing costs that come along with providing cars to low-income families, Zior said. Besides becoming self sustainable, the organization earned the Business Waste Reduction and Recycling Award in December for environmental sustainability. Zior — as the only full-time employee — is also looking for volunteers to turn out more cars. Later, Zior planned to run out to pick up two donated cars, he said, which could be given to local families in the near future. You can read the original story here. Donate Today! Donations go to purchasing parts for the vehicles, paying for facilities and basic operating expenses. Oil changes at the proper time are critical to the life of your car. If you qualify, you may be eligible for SCG to change your oil on the factory recommended interval at no charge* to you! Click the button below to fill out the qualification form and we will call you to make an appointment. *Includes 5 quarts of conventional oil and standard filter. Synthetic oil, special filters and requirements above 5 quarts will be an additional cost. With a passion for cars and helping those in need, Second Chances Garage (a 501(c)3 nonprofit) seeks to make a difference in our community of Frederick County, Maryland by offering "second chances" for individuals and families on their journey to independent living by providing assistance with their personal transportation needs. We are soliciting donations of vehicles from the local community, refurbishing them, and placing them with individuals who are gainfully employed and referred to us by Partner Agencies.